Alligator snapping turtles (Macrochelys temminckii) are freshwater creatures that, in nature, live solely within the United States, specifically in its southeastern region. Although many of these massive aquatic reptiles indeed reside in the wild, some are also kept as household pets. Alligator snapping turtles are sexually dimorphic, as the genders do not look exactly the same. Sightings on terra firma of alligator snapping turtles are extremely few and far between. They typically only emerge from the water for either nesting or basking purposes. 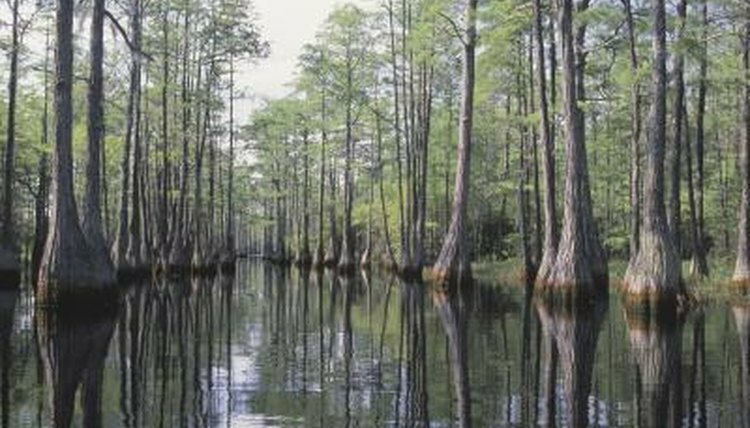 Their habitat preferences include creeks, marshes, lakes, canals and sluggish rivers. Alligator snapping turtles are omnivores, and their menus are made up of lots of worms, tiny reptiles, snails, frogs, clams, mussels and fishes, the latter being the biggest component. They sometimes dine on rodents such as muskrats, squirrels and nutrias. Little alligators even occasionally make appearances in their feeding plans. Since alligator snapping turtles are omnivorous, they frequently eat water plants, fruit, grass and acorns, as well. Alligator snapping turtles lead highly independent lifestyles that don't include a lot of interplay with others. Size is a major clue in determining whether any alligator snapping turtles are boys or girls. The males are significantly bigger than the females. Female alligator snapping turtles can weigh a maximum of 50 pounds or so, but their male counterparts, in extreme cases, can weigh more than 220 pounds. Typical males, however, usually tip the scales at roughly 175 pounds, which is still a lot heftier than the females. If you get the opportunity to observe these gray or brown turtles up close, their behaviors might be able to clue you in on their genders. The males initiate mating acts by climbing onto the females' upper shells and tightly clutch onto said shells using their feet. One thing that both the sexes of this species have in common is that they do not look over their offspring at all once they hatch. Alligator snapping turtles also attain reproductive capabilities at around the same age, whether they're male or female. This usually occurs when they're between 11 and 13 years old. Strangely enough, knowledge of egg temperatures during incubation also can be helpful in knowing the genders of alligator snapping turtle youngsters. Increased temperatures carve the pathway for girls. Lower temperatures, on the other hand, lead to boys.